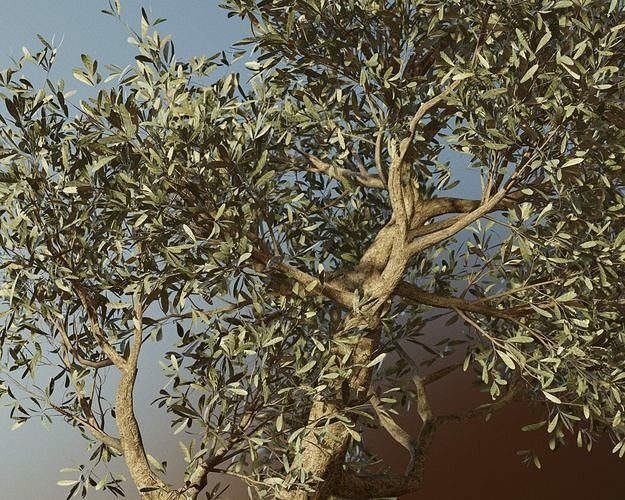 Detailed 3D models of olive trees, manually adjusted according to real references. Height of the trees varies from 3.7 meters to 7.13 meters. The leaves have 4 different colors (4 variations of green hue). For leaves, be sure to use the Opacity map, this will give them a beautiful curved shape. The ideal model for photo-realistic exterior renders (garden, park, land-yard, forest, farm, field etc). With this 6 different models you can create huge fields or forests of olive trees by scattering models on terrain. Every model packed into .ZIP file in 4 different formats. The quantity of polygons and vertices varies of height of model, minimum is 392948 polygons / 299454 vertices and maximum is 1510520 polygons / 1306896 vertices.